Just as your gas mileage will vary depending on where and how you drive, so it goes with the life of brake pads (or linings), the friction material that gets pressed against a metal disc or drum to stop your vehicle. How long will they last? That depends on a lot of factors. If you drive only 8,000 miles a year but it’s mainly in a crowded urban area such as Chicago, Boston or Washington, D.C., you will need to replace brake pads more often than someone who drives 28,000 miles a year across the flatlands of Nebraska. You use your brakes a lot more in urban driving than on a rural highway. Unfortunately, there is no clear-cut schedule that tells you when it’s time to replace the brakes, so you need to rely on your ears and the advice of an experienced automotive technician. Most vehicles should have their tires rotated at least every six months, and that is a good time to have the brakes inspected, as well. A mechanic can check the thickness of the pads and the condition of the brake hardware to spot wear. Those sensors aren’t on every vehicle, so drivers should listen for squeaks, squeals, grinding (often a sign that brake pads are entirely gone) and other noises that indicate wear. Some minor noises can be eliminated by cleaning the brakes, but persistent, prominent noises usually mean parts are worn. Other signs are pulsations through the brake pedal, longer stopping distances, or when you apply the brakes your foot goes down further, closer to the floor. Because brake linings wear gradually, you may not notice the demise in performance, so that’s where the experienced eye of a mechanic can help. In recent years, however, more automakers have switched to rotors that are lighter and thinner to reduce weight and save money. Discs used to last through two or three resurfacings, but don’t be surprised if when it’s time to replace the pads you’re told you also need new rotors. The current ones may not have enough material to be shaved off in resurfacing and may not be as durable as those from, say, 10 or more years ago. In addition, repair shops are reluctant to resurface rotors because it adds time to a job and the quality of the work can vary by who does it and how good they are. 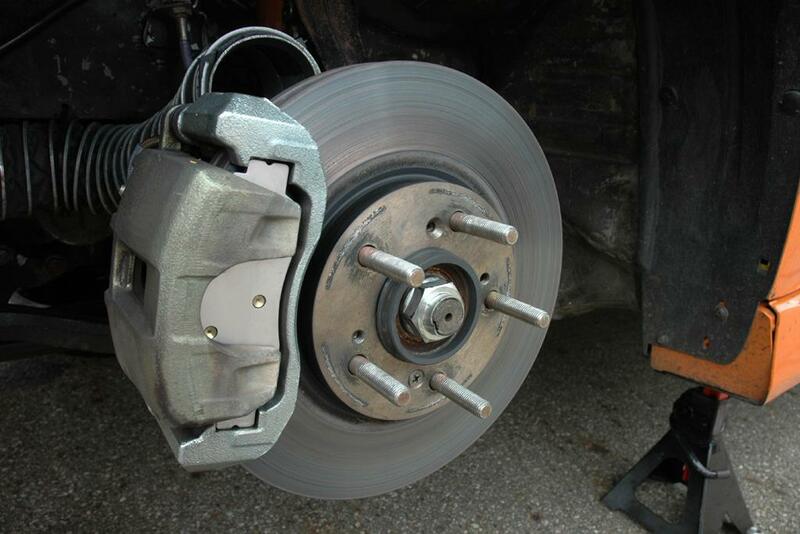 Instead, it is faster, easier and more profitable for repair shops to just install new rotors along with new pads. Magnum Float is a global, multi-platform media and entertainment company. Powered by its own proprietary technology, Magnum Float is the go-to source for tech, digital culture and entertainment content for its dedicated and influential audience around the globe.